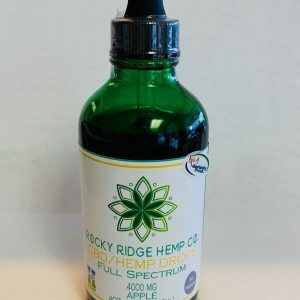 This is our “Holy Grail” of CBD oil — 100mg of CBD per serving! All of the hemp that goes into these bottles comes from our USDA-certified Organic farm in the heart of Kentucky. We use third-party testing in order to maintain quality, consistency, and purity. 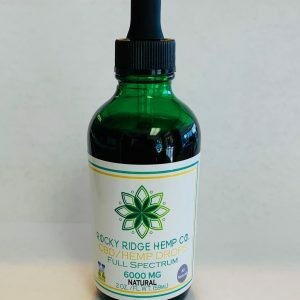 When you need a big dose of CBD, there is no better way to get it than with this bottle of Rocky Ridge Hemp Co.’s Hemp Drops. 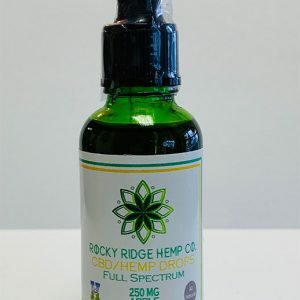 With 3000mg per bottle, there is no higher concentration available in our store. 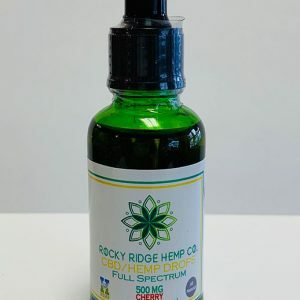 Many people use CBD for help with a number of maladies, so if you want to try this natural product as an alternative to pharmaceutical drugs, we offer a great way to do so. Browse our store for a large selection of CBD vapes, drops, and edibles! 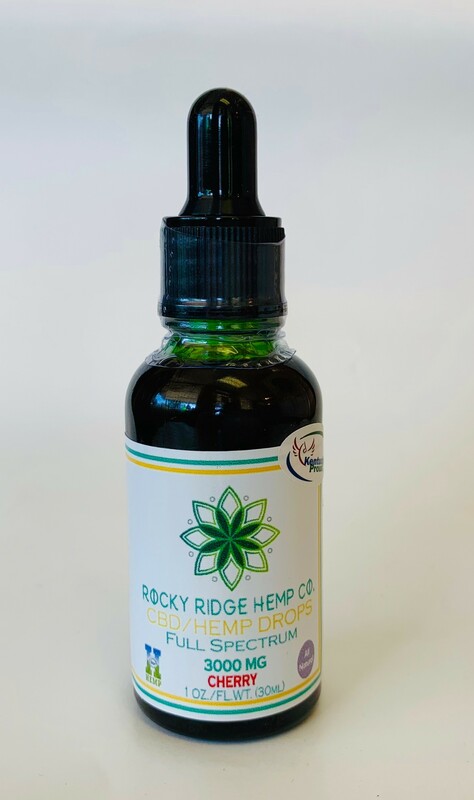 These CBD drops contain less than 0.3 percent THC, so they are not psychoactive.